Special Fiamma F65 awning installation kit from Fiamma. Suitable for Fiat Ducato, Citroen Jumper and Peugeot Boxer with H3 high roof from 06/2006 onward. 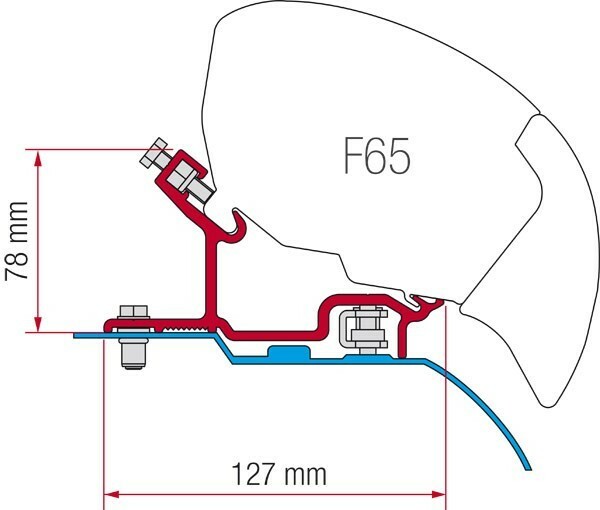 For L3H3 fit with F65 S 370 awning. For L4H3 fit with F65 S 400 awning. Dimensions: 1 x 20cm & 1 x 25cm & 1 x 35cm wide brackets.